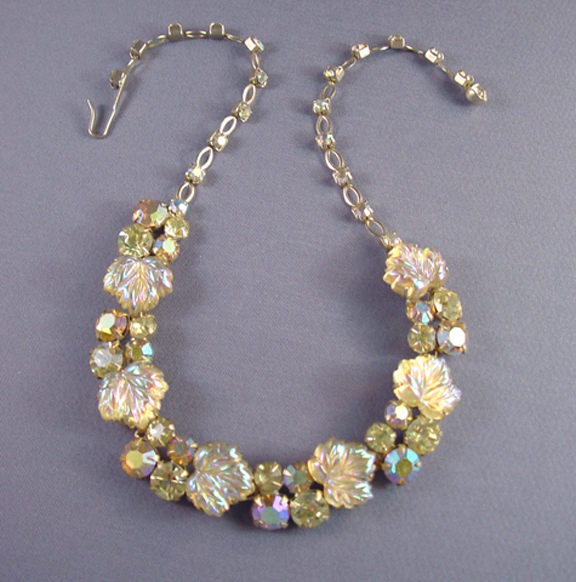 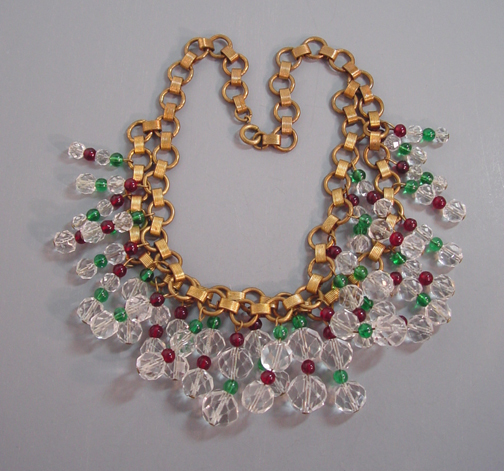 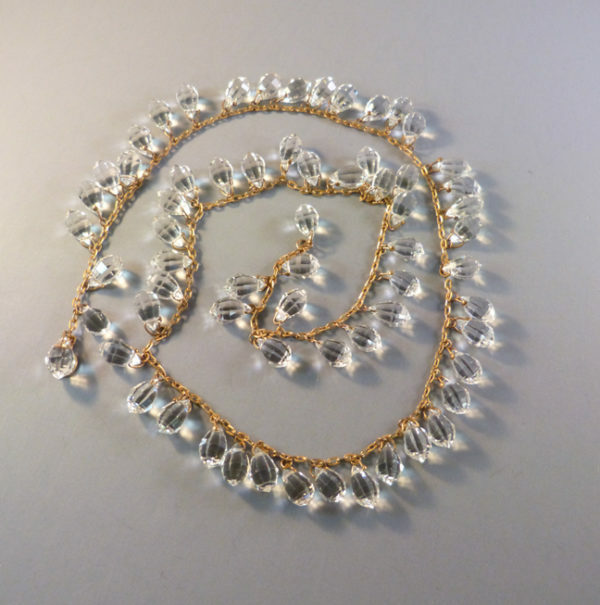 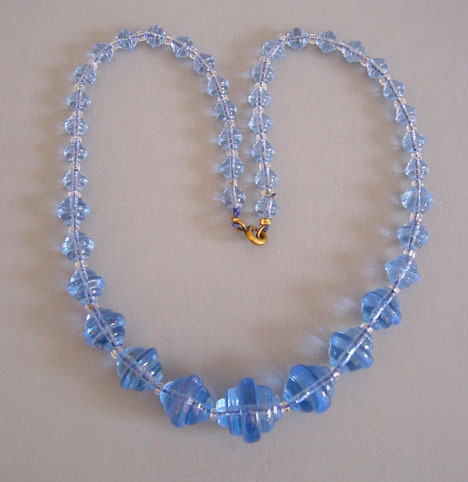 DECO faceted glass teardrops line this beautiful 28" long necklace from the Deco 1920's. 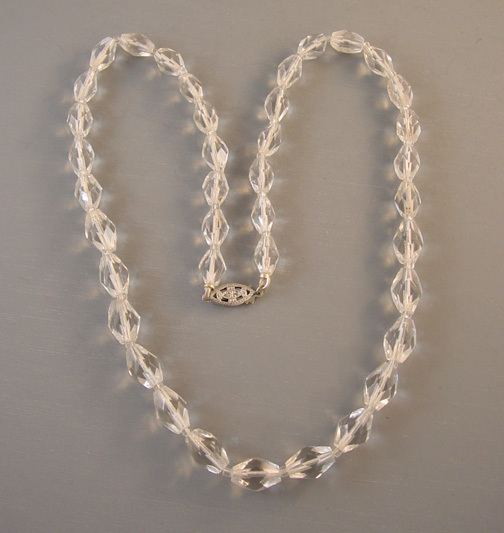 Each drop is 5/8" long and there are about 65 of them, all strung on a gold tone chain. 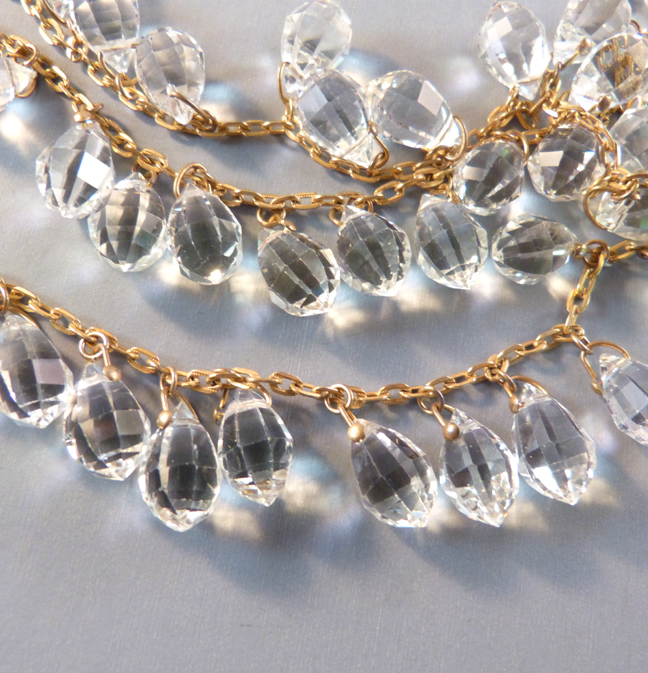 These crystals are beautiful and reflective, a real joy to wear and a conversation piece as well.